The birth of a new baby is one of life’s most joyous and special occasions. Here on this page is information about some greeting card moments when you may need to use new baby cards of all types. 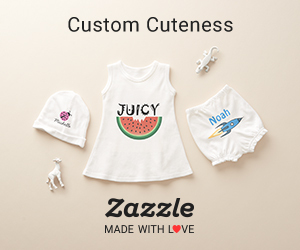 A baby shower for the newborn usually takes place during pregnancy and is a special event when the mother is given gifts in preparation for her new son or daughters arrival. Giving her a Baby Shower Greeting Card together with the gift will give you a chance to express your good wishes and words of support to the mother. If you are the mother receiving the gifts you can send out Baby Shower Thank You Cards to thank everyone for their presents and support. When your baby is born you may like to announce his or her birth to your family and friends by sending a Baby Announcement. On this card you write your new son or daughter’s name and their date of birth and also include a photograph of your precious little one. New Baby Greeting Cards are sent to parents of newborns to congratulate them on the arrival of their new little girl or boy. Many cards already come with poems or verses. You can write your congratulations message inside. Baby greetings can be sent with a gift or without a gift. It all depends on your relationship with the parents. If someone has given you a gift for your newborn you may like to send out Baby Thank You Cards to show them your appreciation for their thoughtfulness and kind wishes.